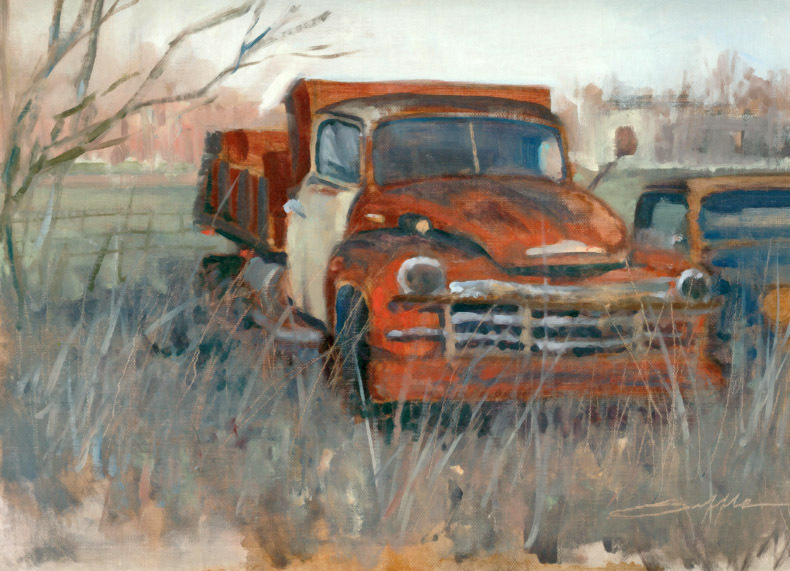 "Rusted Work Truck" 9" x 12"
This truck sits in a field off W. Main St. in Fredericksburg Texas. Don't feel sorry for it because it had a several old rusted friends that I hope to paint in the near future. Checking the stats on my Blog, I found that my truck paintings pull in the most views. That works out for me because I always have fun doing them. 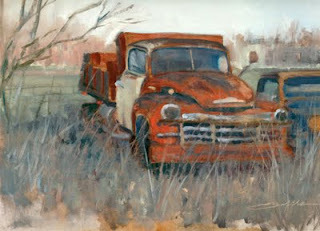 Really great painting of a truck and I really like how you handled the background too. Great job. Your work just gets better and better.